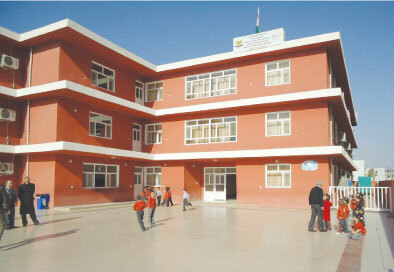 Rehabilitation and Renovation of Primary Schools in South of Iraq. THEFAF AL RAFIDAIN Group has executed the work on two schools, one is a junior high vocational school composed of 18 classrooms, while the other is a secondary school located in the holy city of Karbala. This project was completed in two years and it was delivered to the Ministry of Education/ the general directorate of education in the holy city of Karbala, on 6/4/2010. Our company has also worked on executing the construction of three kindergartens project consisting of 8 classrooms which is also in favour of the Ministry of Education. This project will take between 18 to 24 months to complete.